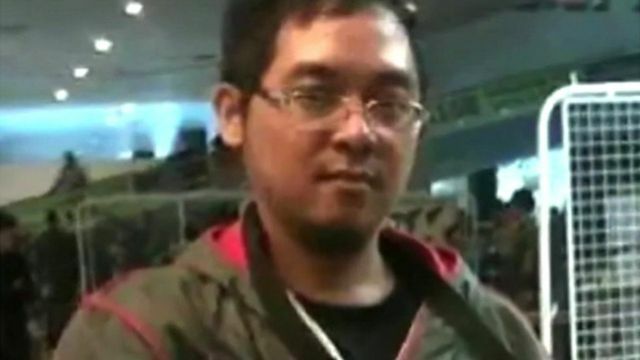 Jakarta suspect 'not involved' - brother Jump to media player Bahrun Naim - who authorities suspect coordinated the Jakarta terror attacks - was not involved, his brother Dahlan tells the BBC. Protests held against Jakarta attacks Jump to media player Police in Indonesia have identified four out of five of the Jakarta attackers. Two were previously convicted militants. Indonesia has 'good anti-terror capability' Jump to media player Jakarta's police chief has said Indonesia developed its understanding of domestic terror networks after the deadly 2002 Bali bombings. A history of militancy in Indonesia Jump to media player The Jakarta attacks come after a relative lull in terror attacks in Indonesia over the past six years. Catharina Moh traces the rise of militancy in the country. Indonesian police say they are investigating links between those responsible for the Jakarta terror attacks and other militant networks in the archipelago. Authorities have been quick to point the finger at one man believed to be in Syria, Bahrun Naim, as the suspected coordinator for the assault. He is believed to be from the Indonesian town of Solo. The BBC's Karishma Vaswani went there to find out why some young Indonesians are becoming radicalised.